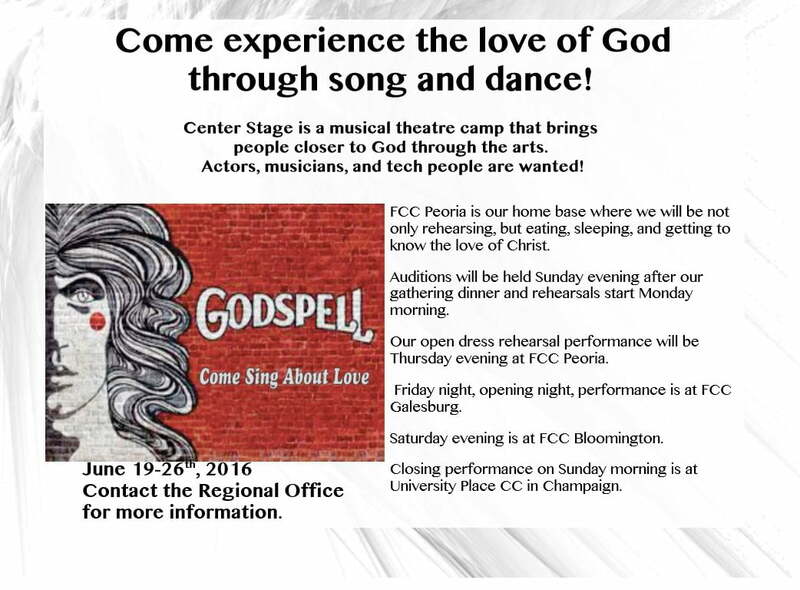 “Center stage is a performing arts camp that will be held at First Christian, Peoria. This years performance will be from the play, Godspell. This camp will be directed by Evan Williams and Mason Fitch, and will go from June 19-26. Also know that the last three days of camp you will be traveling around to FCC Galesburg, FCC Bloomington, and University Place CC Champaign. If you love to perform and have a desire for a different camp experience, check out Center Stage!